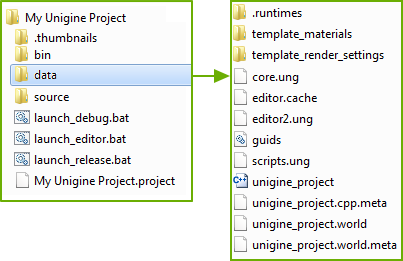 data/.cache_textures/ This folder contains texture cache files — minimized copies generated for all texture runtimes and used by the engine's data streaming system. These files are generated by the Engine on the fly. So, you shouldn't put the content of your project here. The data/.cache_textures folder with all its contents.